Bass Cottage Inn in Bar Harbor has a new owner. Bar Harbor’s oldest continuously operating inn was sold to a Belfast couple the same day they sold another luxury hotel in Belfast. Eddie and Judy Hemmingsen bought the high-end Bass Cottage Inn of Bar Harbor in a deal that closed on Thursday. They also sold the Belfast Bay Inn of Belfast to Clint and Susan Condon of Boston that day. The sale prices were not disclosed, according to a press release. The Hemmingsens bought Bass Cottage because it’s a natural fit with their other Bar Harbor property, the Ullikana, which they purchased in 2017, Eddie Hemmingsen said. The two facilities have 11 rooms each, Judy Hemmingsen said. The two started as innkeepers at the Bluenose Inn of Bar Harbor in 1980 and sold it in 2000. They rebuilt after the inn was destroyed by a fire in 1994. Retirement didn’t suit them, Eddie Hemmington said ― “I kept getting underfoot” with his wife ― so they bought the Belfast inn four years later. Jeff and Teri Anderholm of St. Croix had owned Bass Cottage since 2003, saving it from demolition with extensive renovations that embraced the cottage’s historic aspects. 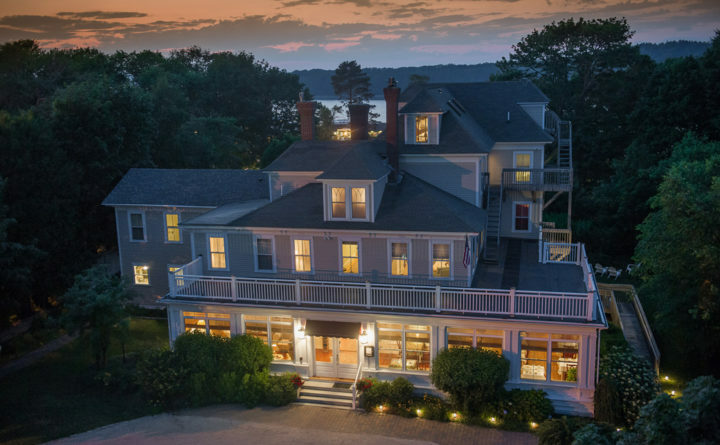 They said that their work on the inn drew raves from travel magazines, including being declared one of New England’s best inns by Boston Magazine. The Hemmingsens inns will open on May 10 and close for the season at the end of October.